Bonus: They're all super affordable. You've traveled by car and by plane—but your kids have never seen America like this. 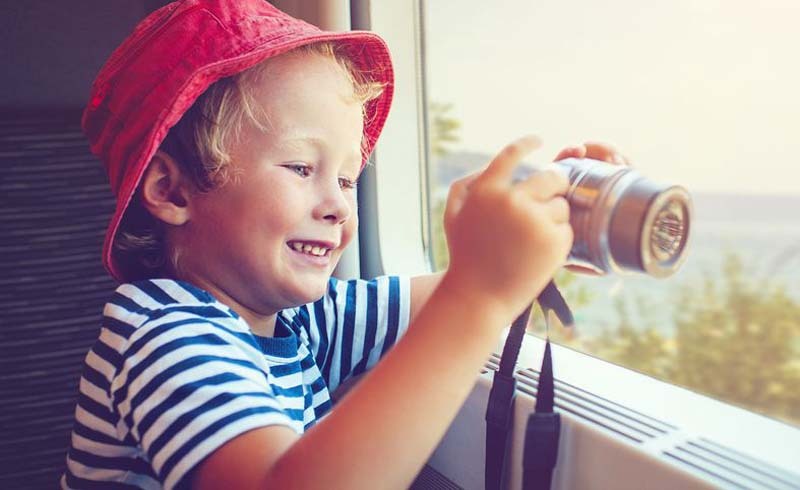 For your next family adventure, hop on board one of these affordable train trips and get ready to take in some seriously beautiful views. 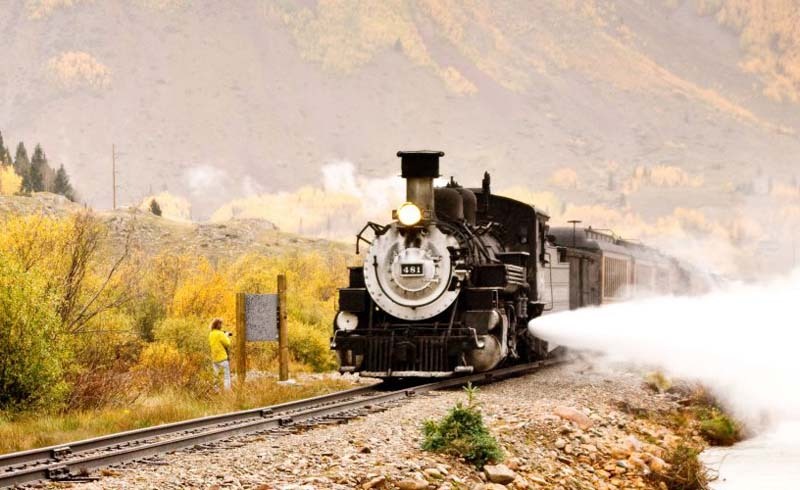 Rail travel might seem like a thing of the past, but we guarantee your kids will love these stunning U.S. train rides. 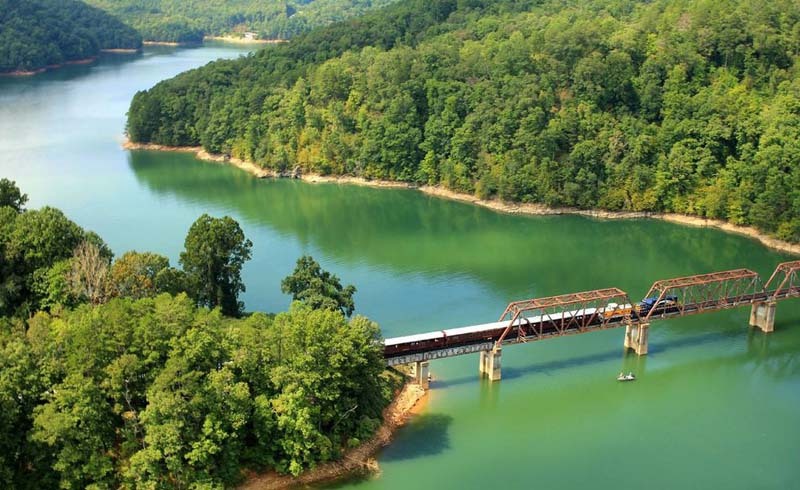 Take in Georgia's beautiful Blue Ridge mountains, Chattahoochee National Forest, and Toccoa River during this four-hour open-air ride with Blue Ridge Scenic Railway. Don't miss their "Firecracker Special," which includes a festive firework show. 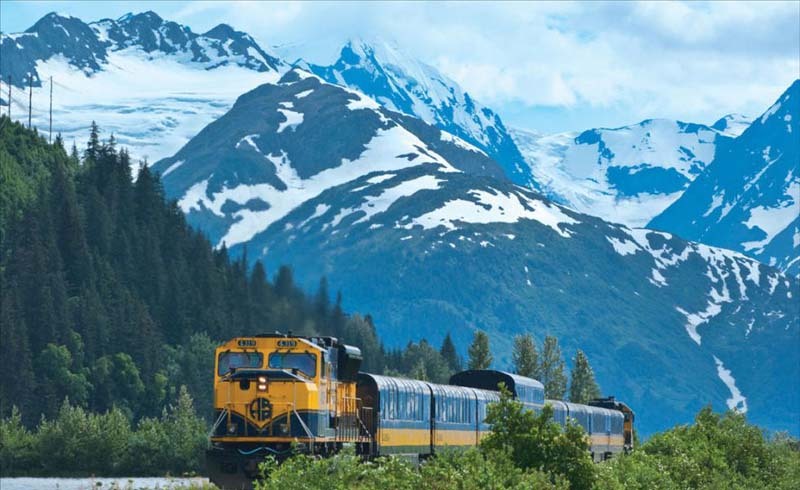 Make the most of a visit to Alaska by riding on Alaska Railroad's Denali Star Train, a 12-hour journey from Anchorage to Fairbanks. On a clear day, you'll have full view of the train's namesake landmark, Denali Mountain (formerly Mount McKinley), which is the tallest peak in North America. 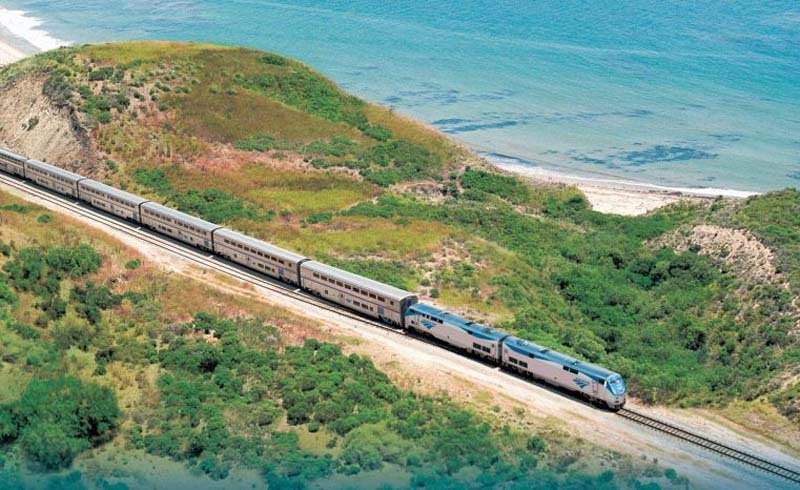 Dubbed one of America's most beautiful train rides, Amtrak's Coast Starlight train not only offers some of the most breathtaking views of the Pacific Ocean you'll ever see, it's also one of the most affordable adventures out there—starting at just $98! This special trip ventures from Seattle to Los Angeles over the course of 35 hours, but you can enjoy an abbreviated version by getting off at one of its 30 west coast stops. 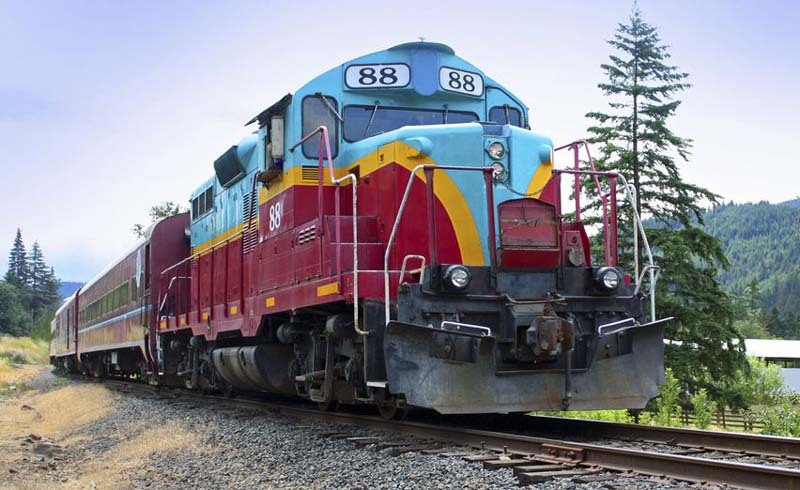 Mount Hood Railroad offers three seasonal train excursions, perfect if you're looking for an adventurous new way to foster family bonding. Travel through woods, orchards, and vineyards aboard the June through October Parkdale Excursions, see the rich colors of Portland, Oregon's fall foliage during the October Harvest Fall Special train ride, or enjoy an Old West-themed adventure on the Western Train Robbery ride, which is offered July through September. 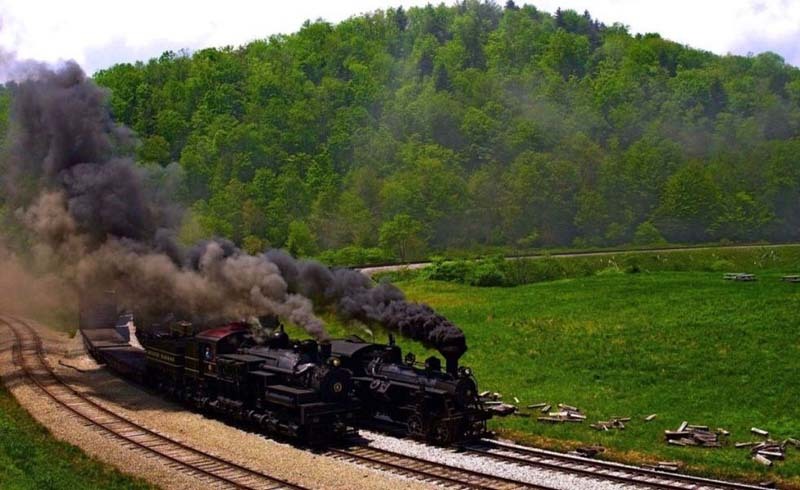 Catch a ride on one of the steam-driven locomotives through West Virginia's Cass Scenic Railroad State Park. Be sure to pack your camera for beautiful shots of the Monongahela National Forest. 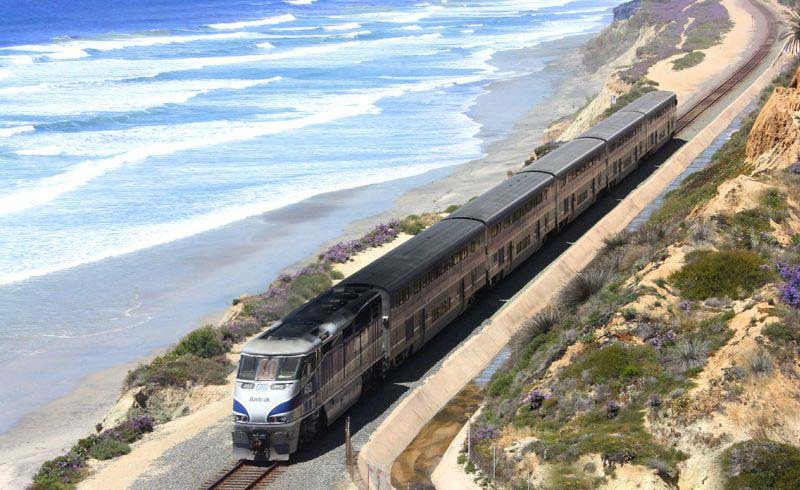 Instead of traveling down California's Pacific Coast Highway by car, consider taking in views of the ocean via Amtrak's Pacific Surfliner, which travels from San Diego to San Luis Obispo, a journey that's approximately 5 hours and 45 minutes of pure scenic bliss. 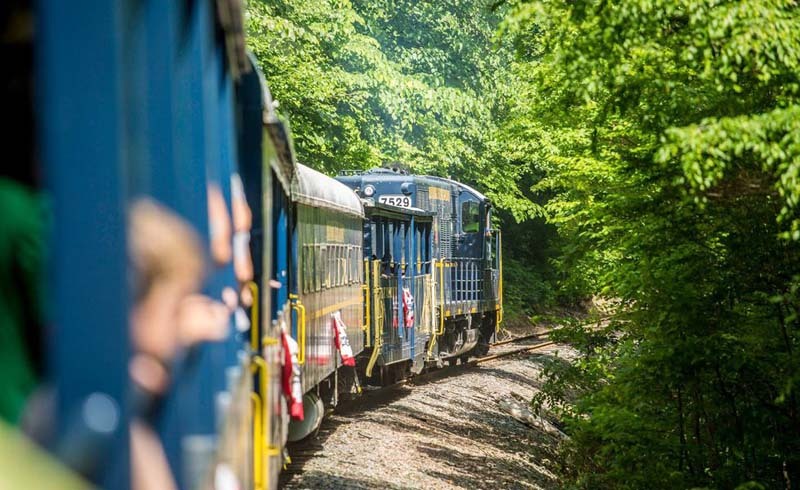 The Great Smoky Mountains Railroad in North Carolina offers two scenic train rides that the whole family will surely love. Ride alongside the Nantahala River during the 4.5-hour Nantahala Gorge Excursion, or take the four-hour Tuckasegee River Excursion to ride past a spot where the 1993 film The Fugitive was filmed. 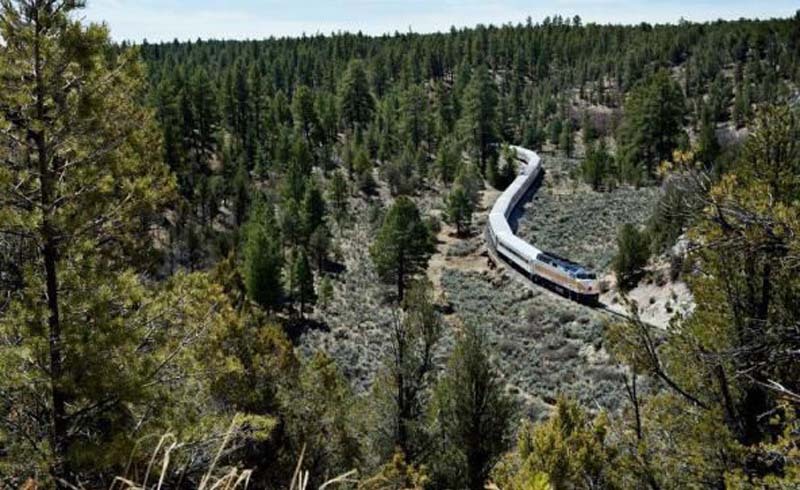 The Grand Canyon Railway offers a 65-mile, 2 hour and 15 minute train ride along the edge of the Colorado Plateau, at an elevation of 5,000 feet. Don't forget to look into the company's popular Polar Express Train Ride, offered during the holiday season. 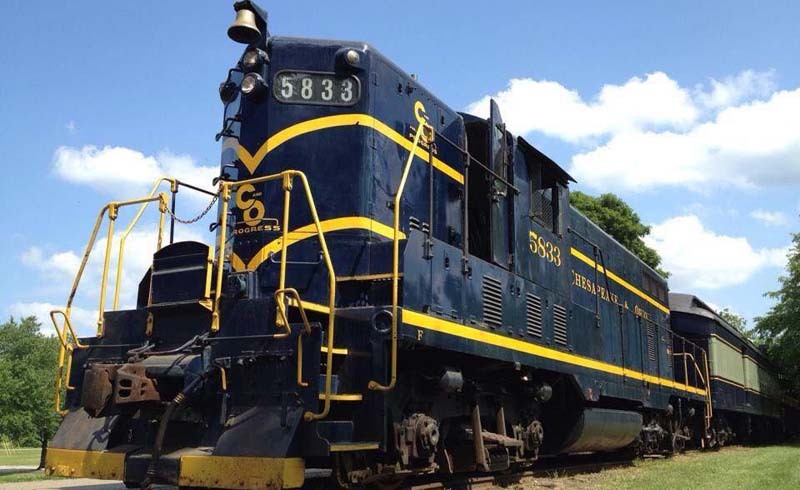 The Hocking Valley Scenic Railway offers several family-friendly train options. 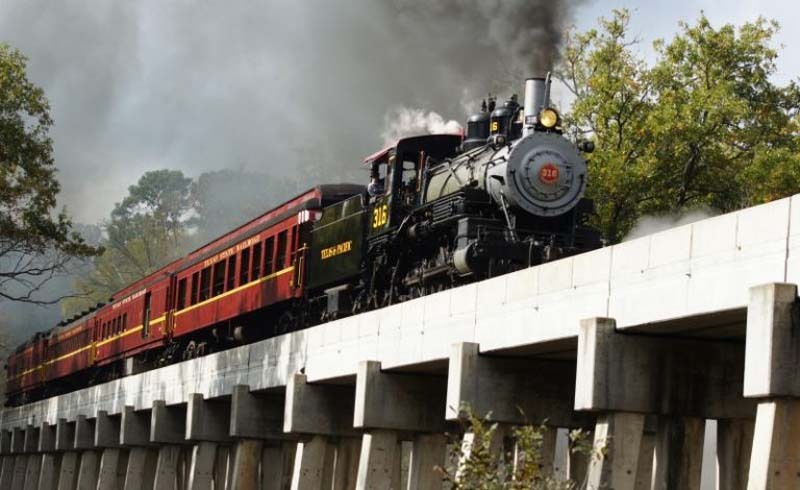 Whether you decide to take a ride on the company's Fall Foliage Train or its Santa Train during the holidays, these train rides along Ohio's Hocking Riverpromise some of the most scenic views of Ohio. 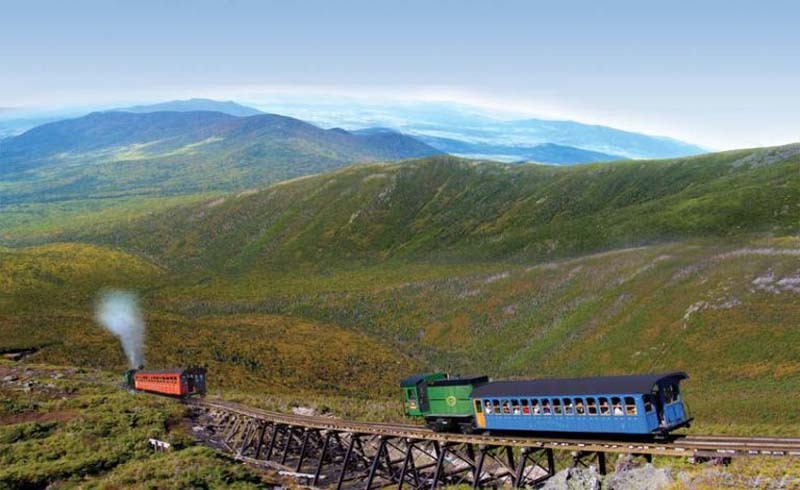 Open late April through November, the Mount Washington Cog Railway in Bretton Woods, New Hampshire offers a thrilling adventure as you ascend the 6,288-foot summit of Mount Washington. Once at the top of the three-mile track, you'll be surrounded by mountain views as you travel through New Hampshire and Maine as well as an eastern view of the Atlantic Ocean. Get ready to be transported back in time once you step aboard the Texas State Railroad's 1920s train car. You'll travel through Texas' Piney Woods during your 50-mile, four-hour journey. For the kids, the Texas State Railroad sets up a pumpkin patch during the fall and offers a Polar Express ride, which begins in November. 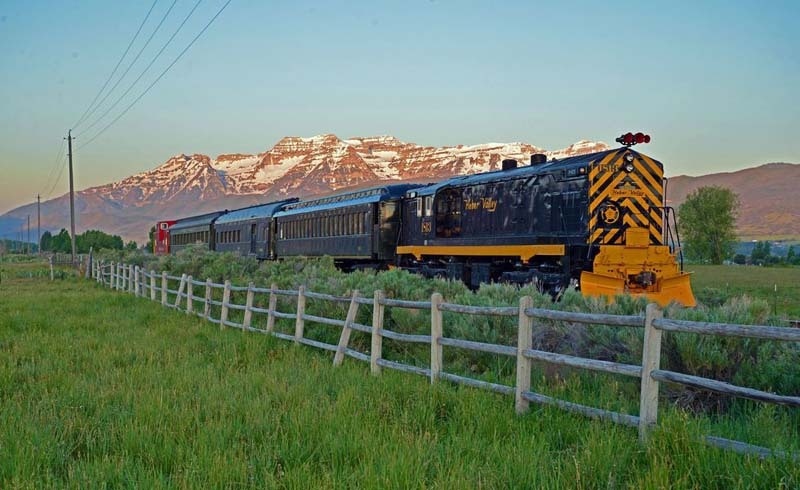 Hop onboard the Heber Valley Railroad's 1907 vintage steam locomotive to see amazing views of Utah's Heber Valley and Provo Canyon. Make sure your kiddos are also on the lookout for bald eagles, deer, and elk along the 16-mile ride. 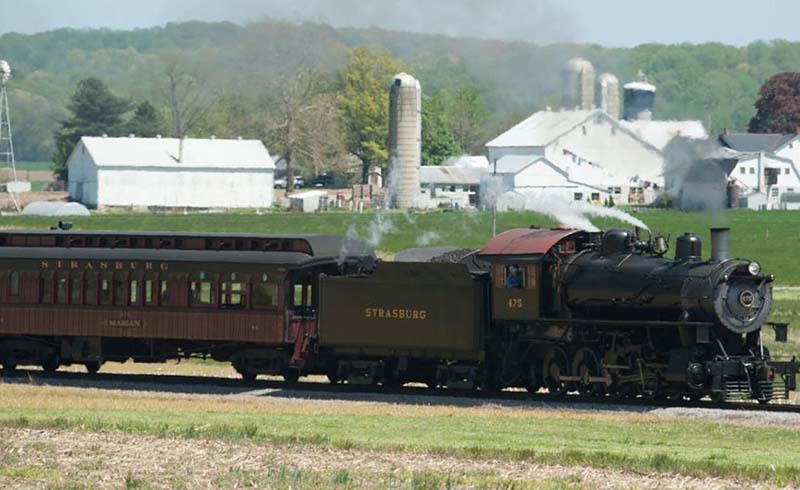 Travel through the scenic Pennsylvania Dutch Countryside in Strasburg Railroad's coal-burning steam train, built more than 175 years ago. This Pennsylvania-based railroad has great options for kids including their Day Out With Thomas train and the Santa's Paradise Christmas train.